Potatoes get a bad rap, but truly they are victims in this turn of events. They can’t help it that we tend to slather them with fat and/or dunk them in hot grease and eat the least healthy versions of them (big and white) in large quantities. While potatoes are high in carbohydrates, there is fiber in the skin, so if you eat small potatoes, you get more skin (fiber and nutrients) and less starchy insides. 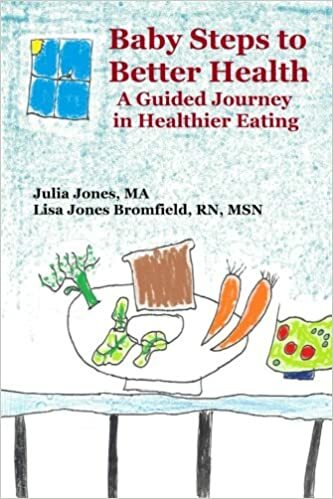 And if you eat colored potatoes you are also getting carotenoids and flavonoids which are nutritious and act as anti-oxidants. Unfortunately, the little colored potatoes are more costly than the big white ones… but they are worth investigating. You might be very surprised at how much more flavorful a small colored potato is than a big white one. Makes it easier to skip the sour cream, butter, cheddar cheese, bacon….. oh my. I used to like that kind of thing on a baked potato – but your family just might like these with a touch of healthy oil and spices. The pretty little buggers can be boiled, or roasted, or baked just like any other potato. One of my favorite ways to prepare them is a double cook: baked, boiled or even microwaved, and then sliced and sauteed with some onion, possibly some greens and if you want, you can even throw in some scrambled eggs or meat if you eat it. Peasant food is another of the quick throw what you have in a skillet for dinner ‘recipes’ that Little Sis and I have come to rely on when planning is lacking or life doesn’t go along with our carefully laid plans. Okay, so that’s almost everyday, and that is why we have more than one sneaky quick dinner on hand. In order to make peasant food quickly you have to have already cooked potatoes. If you are brilliantly organized you might cook some potatoes at the beginning of every week, just to have for emergencies…. or you might be like me and just wash them, slice them and throw them in the microwave to soften them up before sauteing. It is much easier to slice a cold potato than a hot one, so if microwaving, it is important to slice first. If baking or boiling for future use, it is not necessary to pre-slice. After you’ve got some soft potatoes, you are only about 15 minutes away from a meal. I’m not giving amounts because as I said, this is a fly-by-the-seat of your stovetop recipe… use what you got, or what you think is reasonable. When the onion-y type stuff is getting translucent, add your potatoes along with some salt and pepper. You can also add other spices if you like, I just relied on the flavor of the leeks, salt and pepper to improve the potatoes. Cook over Medium heat until heated through and you have a little bit of browning action going on. Throw in a couple of handfuls of any hardy greens you have around…. I used spinach…. you could try kale or swiss chard as well. 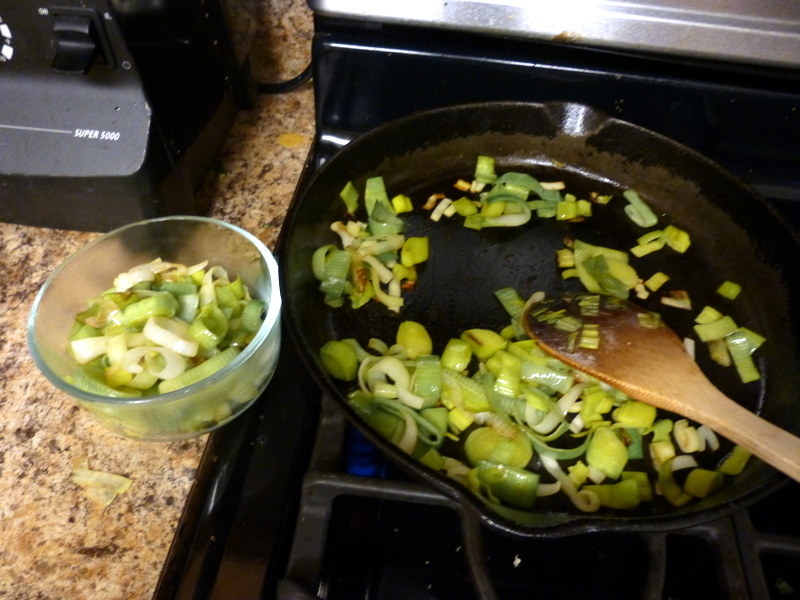 Cook until greens are wilted. Now if you want to add scrambled eggs or chopped meat – I would add beaten eggs after the greens wilt, or meat when you add the potatoes. We did not add anything but used the potatoes as a side dish. 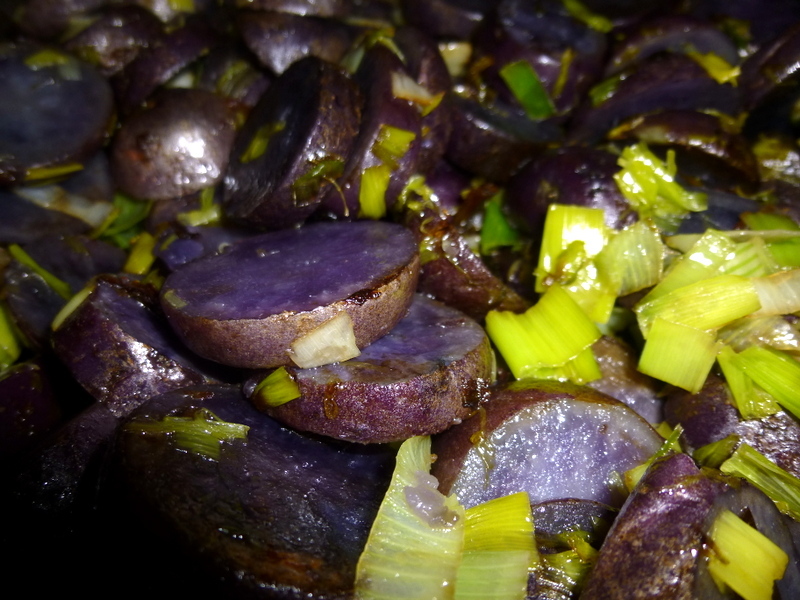 Check out those gorgeous purple potatoes!!! Hard to believe they are potatoes. I may just have to take a stab at growing some of these bad boys this summer because they are really great. Don’t get rid of potatoes…. just get rid of (or cut down on) french fries, chips and the fatty toppings. What’s underneath is Food. Real Food. 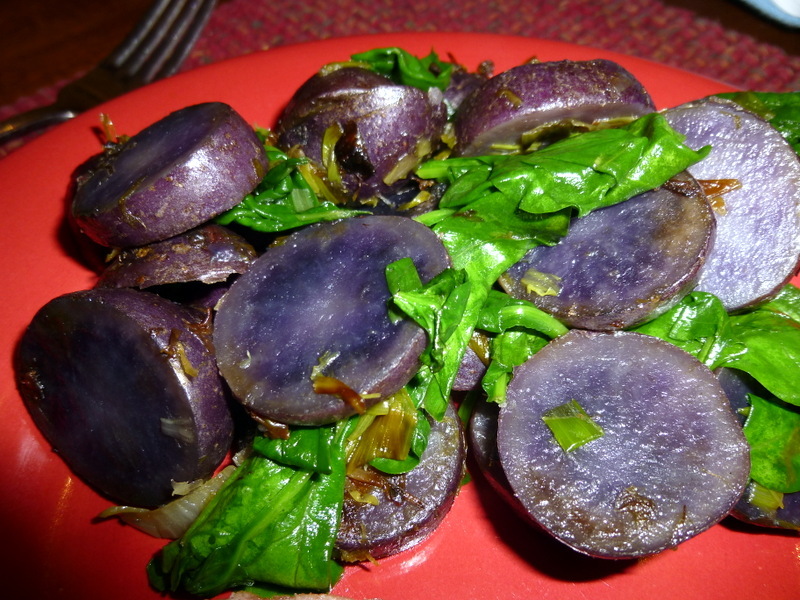 Now excuse me while I go eat these beautiful purple potatoes. Mmmm.